Sophie Hudson is already one of my favorite authors. I was reading one of her books about a year ago in the doctor’s waiting room and broke out into unrestrained laughter while most of the other patients looked like they had lost their wallet. It was a great moment, for me at least. This time I’m reading All in All Journaling Devotional, Loving God Wherever You Are, by my good “friend” Sophie. As I opened the book to Day 1, I felt like Sophie was across the table from me chatting. She is very real as she expresses herself. And her experience working with teens and young women gives her the perspective to write in a way that will appeal to them. She speaks their language. All in All Journaling Devotional is targeted for the young and young at heart. It is perfect for personal quiet time or could equally be satisfying if done with a group. Life is busy. Let’s admit it. There are many things calling for our attention every day. 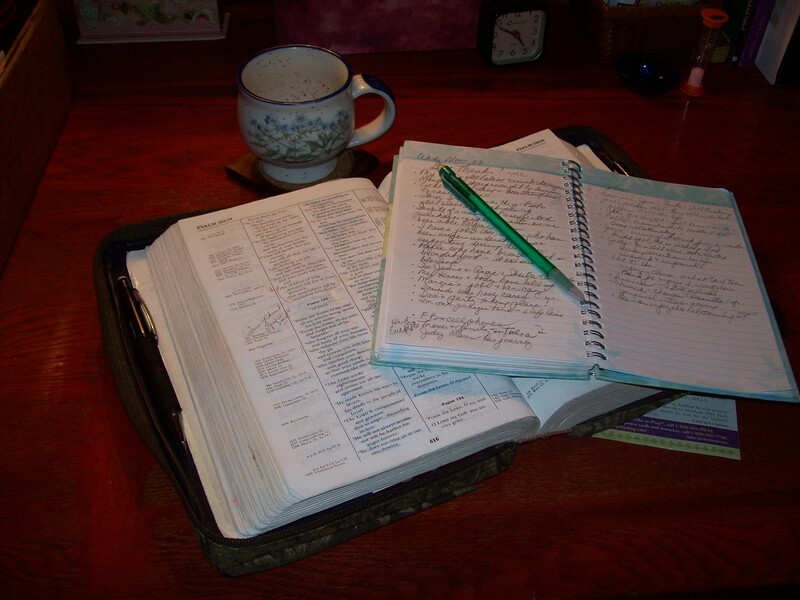 We need a little help in keeping ourselves focused and setting aside time to spend with Jesus. 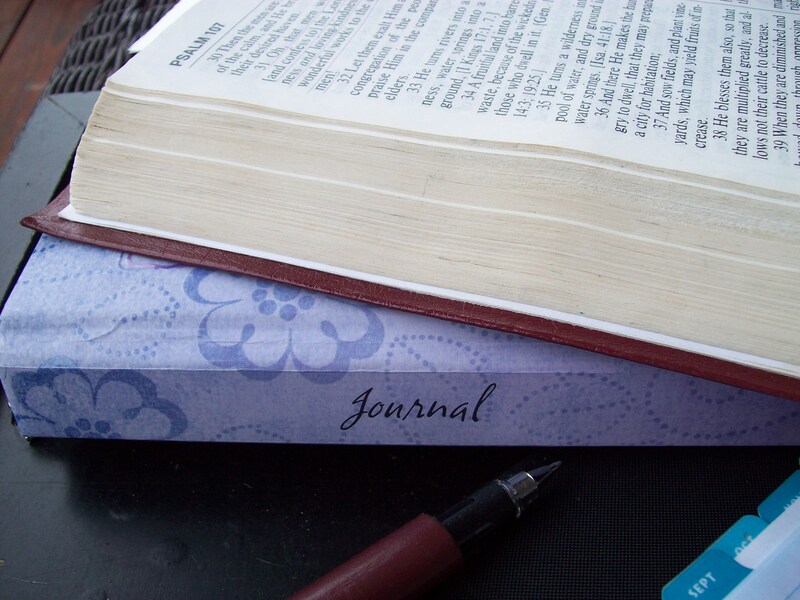 All in All Journaling Devotional is a book that calls to us to come away for a while and rest. NOTE: I received a copy of All in All, Journaling Devotional, provided by B&H Publishing, for an honest review. The book was free. The words are my very own. June, the month of summer. Children are out of school, and I hear them across the fields at their play. I remember being a kid in summer, constantly outside in play and adventure. We swam until we got hungry. We played board games on the porch at my aunt and uncle’s house when the sun got too hot. I don’t remember ever getting bored. There were fields to roam, projects to construct, neighbors to call for ball games in empty lots, and dinner with the family each evening. There was church on Sundays and mid-week when one of my friends could come stay with us a few days and then return at next service time. Our annual church convention brought an overnight stay in a motel, a sort of vacation for us. And there was a week at youth camp, up in the mountains where the days were sweltering and nights made us pull on the blankets. Open aired cabins with bunk beds were the places for making friends. The girls wore their hair in curlers all day long, our heads wrapped in scarves, so we could look pretty for church at night. Some call it the lazy days of summer. Having grown into an adult, I’ve not lived a lazy life. Circumstances beyond my control loaded me with responsibility. It has been my lot to move, to get things done. I stayed on task and accomplished as much as possible in a day, often falling into bed exhausted just to set the alarm to begin it all over again tomorrow. This month of June seems like an invitation, like a Sabbath calling me. There are no piano lessons this month. An upcoming procedure will keep us close to home. No travel plans ahead. My calendar is looking strangely blank. Something calls to me to rest, to sit idle, to be still. My body feels it, the pull to nurture myself; to wander instead of power walk; to tread gently in the gardens and enjoy the summer beauty without focusing on the weeds; to spend time with books and to play the piano for the pure pleasure of it. This is what I am craving – the quiet I love. I’ve lived under pressure many days. I’ve rushed from one appointment to another, driving in the fast lane. I’ve made the long lists of things that needed to be done, and I’ve checked them off one by one. It will be challenging for me to slow. I hesitate to even write it here, like I’m making a promise, a promise to myself. It is my nature to do things, and there is always, always something to do. But I am compelled to pursue what pursues me. Perhaps it is the Spirit calling me to come away, to listen for the hushed calm, to be still and know my God. I can linger on the deck in the early morning, before the thermostate rises high enough to send me indoors. I can sip my coffee slowly, because it never get too hot for coffee. I can listen carefully without distration. I can be observant, looking deeply at the flower or at the face in front of me. I can hear what my heart has to say. I can ponder the questions that mystify me. I can be quiet. I can choose to make June a month of rest, a Sabbath. And I shall see what joy awaits me that I might have missed in my hurrying. The end of the month is close at hand. Except this year we get an extra day. It sounds good in theory, like being handed 24 more hours to enjoy. But I expect most of us already have plans laid out for February 29, and it will be just another day in our lives. But what if . . . what if you were given 24 more hours to spend wildly in some unplanned way, uncommitted, unstructured to the minute? Not the way we usually do life. What would you do with that time? What would I? Perhaps get one of those 2016 projects completed, or at least started. Maybe organize the pantry or the garage or the walk-in closet. Maybe veg out on a movie marathon day, i.e. Star Wars, Lord of the Rings, or any number of serial flicks. Maybe shop ’til you drop or prepare your taxes. Would we work or play? What if . . . we spent a day in retreat? What if . . . we spent a day in silence? What if . . . we looked deep inside ourselves and reflected our heart against the backdrop of Scripture? I tried a day of retreat years ago. Such a day is hard to come by because there are people around who need me. Or so I think. Maybe I could take half a day or a quarter of a day, or even a few hours spent intentionally in God’s Word, in prayer and meditation, journaling my swirling thoughts and somehow make some sense of what troubles me. Because you see, there are things that trouble me. I don’t share them freely. They are in the deepest parts of my soul, the secret place of my heart. My secret thoughts and worries are safest when brought to the secret place of the Most High God. It is an ascended place of rest, above the noises and voices of the world, out of reach of what troubles me. In the secret place of God I find refuge and peace. My deepest secrets are safe with Him. And He knows what I need before I even ask. Perhaps it is impossible at this late date to schedule the last day of February or even hours of uninterrupted quiet time, away from the fray of this world. But I could get up an hour earlier on the 29th. I could steal away during the lunch break. I could take a leisurely walk down my lane. I could find the time if I really want to. And I want to. How about you? Ask God to reveal Truth to you during these days of preparation. Plan on spending time with Him, not just doing things for Him. I’ve been a busy girl most of my life. Sometimes, often, I’ve been too busy. I may have been more of a Martha than a Mary at times. Yet when I think of it, Jesus loved them both and enjoyed visiting in their home at Bethany. He surely valued the traits in both women, saw their strengths while being aware of their weaknesses. Wow. The audacity of Martha. Does she hear herself speaking words of accusation and bossy-ness? I hate to admit it, but I think I have been Martha at times. It would do us well to find out, what is the One Thing? Time with Jesus. Listening to Him. Stopping the anxious thoughts and multi-tasking that always, always looms ahead. Hard to do, isn’t it? The “being” part. It’s not something I put on my to-do-list or check off with accomplishment each day. I wonder why it is so hard for us to come away and spend time with Him, just be in His presence, listen to His words from the Word and gaze upon the beauty of the Lord? Could it be that the enemy of our souls knows too well that this One Thing will keep us on track in our Christian walk, this One Thing will set our priorities straight? This One Thing can help us start the day with a clearer perspective of who we are and Who He is. As we begin our 40-day journey, keep this truth in mind: Jesus wants you more than He wants what you can do for Him. It can be a shocking realization. Of course there is work to be done in the kingdom. The fields are ripe for harvest and the workers are few. But how can we do the work when our hearts are empty of Him? How can we be sure we are doing the One Thing that is most important on His list if we haven’t talked to Him and stilled ourselves long enough to listened? Relationships are built on time spent together. The more time, the stronger the bond. The more time, the more I know you. The more time, the fonder I grow. The more time, and I realize I cannot live without you in my life. Spend time with Jesus during the next 40 days. 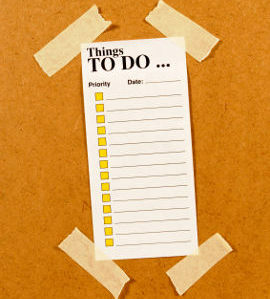 Make it first on your things-to-do-today. Here are just a few suggestions to keep us focused. Get up earlier, as hard as this is. Make it the best 30 to 60 minutes of your day. Have your coffee, tea or favorite morning beverage ready. Sit in a comfortable chair and open your Bible to feast on His words to you. Know for certain that Jesus wants to speak personally to you. Set an alarm throughout the day to remind you to take a breath, look heavenward and remember your God is in control and with you always. Quote a favorite Bible verse throughout the day as a reminder of His peace and love for you. At dinner, talk about being with Jesus and how that looks to the people in your family. When you lie down for the night, speak to God as you close your eyes, thank Him for His provision and gifts. Drift off to sleep with Him on your mind. Don’t neglect the main course. It’s where we get our strength for the journey. Let’s do this thing together for the next 40 days. And maybe, just maybe, we will find it the greatest necessity of our lives and will never want to go a day without it again. I’ve loved this song by Larnelle Harris for a long time. It is the heart cry of our Savior’s longing for us.